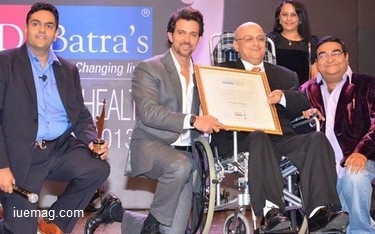 Read the story of the man who used his physical disability, as a qualification to create a positive change in the minds of people! He disclosed about his feeling to Eesha, his wife, “I am still feeling an emptiness within.” She helped him realize that he wanted to reach out to others, inspire them to fight against their adversities, sharing his own example of resilience, grit and death defying survival/victory. “Yes,” he acknowledged, “Now it’s time to share my life” he said. With all the situations in the family getting better, although paralyzed, he decided to spread his life’s story to the world. Life tried to test him more, when one day there was no one else at home, except his wife and himself. The doors were closed, the windows were shut, he was sleeping on the bed, when his wife was serving him food. After being fed, while she got up to leave the room, fate tried to play with her life too. She immediately fell on the floor paralyzed, unable to speak or move. The calm house, that had no one else inside, became a house of mourns. Shocked seeing the situation, and still laying on his bed helplessly, he began to scream louder and louder asking for help. The screams continued for hours, until it was heard by the watchman. Breaking the closed door, he tried to help both of them. “It was another shocker of my life when the incident happened. My parents who were still trying to come out of the pain they had due to my health issues, had to undergo more pain. My wife still suffers a lot more than me. Not being able to help me, more than herself, is the biggest pain she still undergoes” he says. 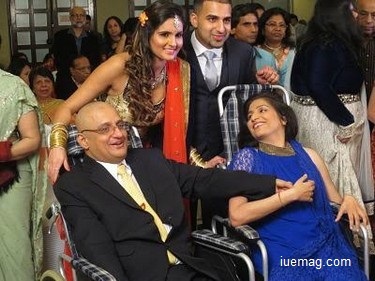 Eesha was by then diagnosed with a deadly degenerative disease called multiple sclerosis which has no cure. Her health deteriorated over the months and slowly, she lost 70 percent of her vision and 90 percent of her speech.“Despite her being completely bedridden for the last nine years of her debilitating condition, we stood stoically beside each other like pillars of support. Both our medical conditions are not curable, because we are here to cure others through our conditions. I thank god for this! Rock bottom became the foundation on which we rebuilt our lives. We came to observe life very closely. We realized that the human spirit is far stronger than anything that could happen to it. We also realized that giving is the highest level of living. I shut down my thriving interior designing business to answer my divine calling, which was to reinvent myself as an inspirational and motivational speaker. My wife is unable to accompany me physically for my seminars but she is always there in spirit as a part of Mission Positive Earth.” are his powerful words. Meet Mr Girish Gogia, 40, Inspirational Speaker - The Positive Man, whose life is in itself a story of strongest inspiration one could ever find. “I thank god from the bottom of my heart. When people ask, I say this is not paralysis. It is some kind of a qualification that god has given me, because of which I am doing what I am doing. I am so fortunate to be making a difference in millions of life, by sharing our story. People ask ‘How can you be so happy when you cannot eat a morsel on your own?’. According to me, disability is in the body and not in the mind. At the same time, happiness is in the mind, not in the body. I chose to be happy and I am the happiest person on earth.” share Girish, with a big broad smile. 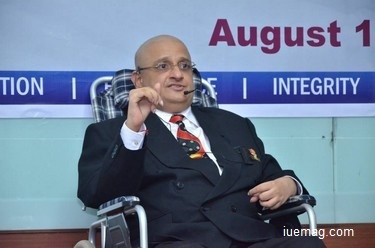 Girish continues to speak out the inner voices to tap the ultimate human potential. His belief to be the support to make this world better is bound to make anyone take action.